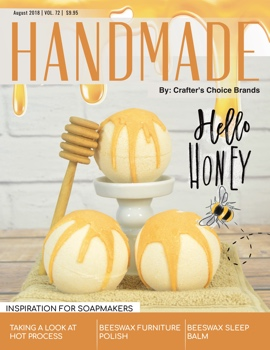 Handmade Magazine is the leading handmade craft magazine, inspiring handmade soap making cosmetic artisans. 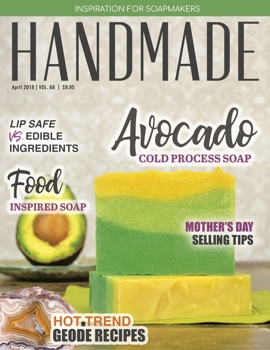 Each issue features soap making DIY projects, soap & cosmetic recipes, packaging ideas, inspiration and trends for handmade cosmetic and soap makers. 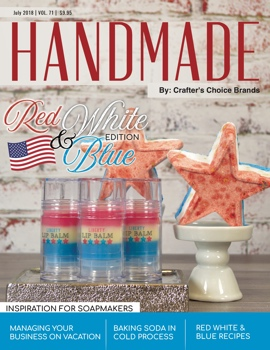 Auto-Renew Subscriptions are mailed the first week of each month. WholesaleSuppliesPlus.com is the exclusive online manager and distributor of subscriptions. 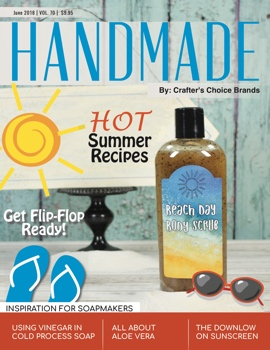 WholesaleSuppliesPlus.com is the exclusive online manager and distributor of subscriptions. Vol. 74 - 'Tis The Season'. 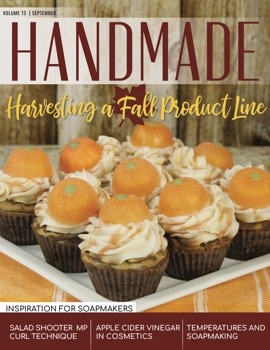 This issue of Handmade Magazine will get you ready for the holiday shopping season! 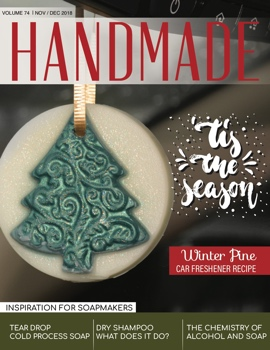 Our holiday issue is filled with gift ideas and holiday products to add to your seasonal product line. 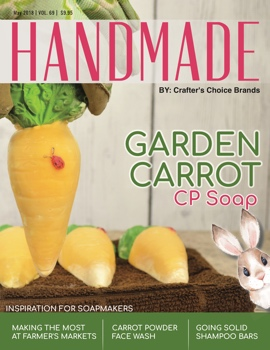 Recipes: Loads of recipes that change each month to match the theme!